Few have been in a more right place at a more right time than Richard Rider. Randomly chosen by a dying Xandarian to receive the power of the Nova Force, Rider instantly went from average teenager to intergalactic hero. 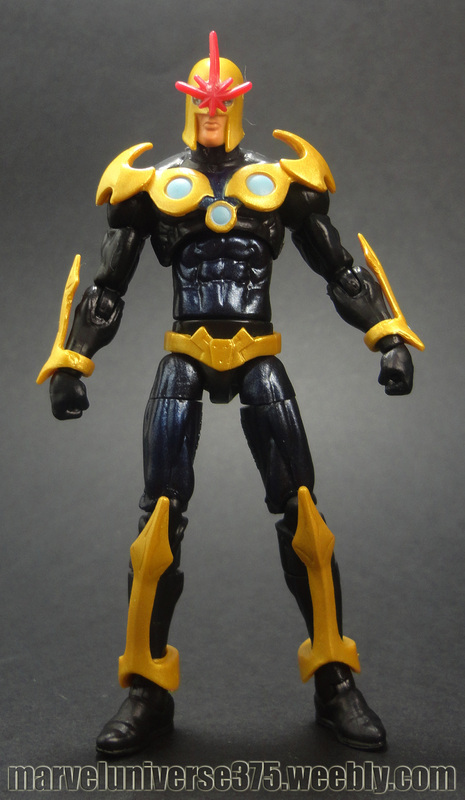 When he was the only Nova Corps member spared by the Annihilation Wave, he was left to preserve the Xandarian legacy. His body houses Worldmind, the living Xandarian supercomputer. The entire Nova Force was also concentrated within him, making him virtually indestructible and allowing him to single-handedly wield its incredible power. * Character descriptions are from Marvel Universe packaging.